He is Director of the World Wide Web Consortium (W3C), a Web standards organization founded in 1994 that develops interoperable technologies (specifications, guidelines, software, and tools) to lead the Web to its full potential. He is a founding Director of the Web Science Trust (WST) launched in 2009 to promote research and education in Web Science, the multidisciplinary study of humanity connected by technology. Berners-Lee is also a Director of the World Wide Web Foundation, launched in 2009 to coordinate efforts to further the potential of the Web to benefit humanity. 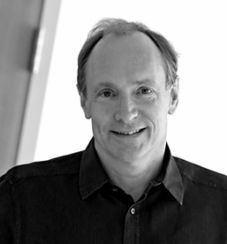 At MIT, Berners-Lee is the 3Com Founders Professor of Engineering in the School of Engineering, with a joint appointment in the Department of Electrical Engineering and Computer Science at the Laboratory for Computer Science and Artificial Intelligence (CSAIL). He is also a Professor in the Electronics and Computer Science Department at the University of Southampton, UK. In 2001 Berners-Lee became a Fellow of the Royal Society. He has been the recipient of several international awards. In 2004 he was knighted by H.M. Queen Elizabeth, and in 2007 he was awarded the Order of Merit.